YOU CAN ONLY STORE GOOD QUALITY PRODUCE. Deciding to store onions or potatoes is a complicated decision, which comes with financial RISKS and OPPORTUNITIES. The drying process helps to eliminate excess moisture on the produce as quickly as possible, thereby keeping mould and bacteria at bay. All types of onion and potato can be dried. 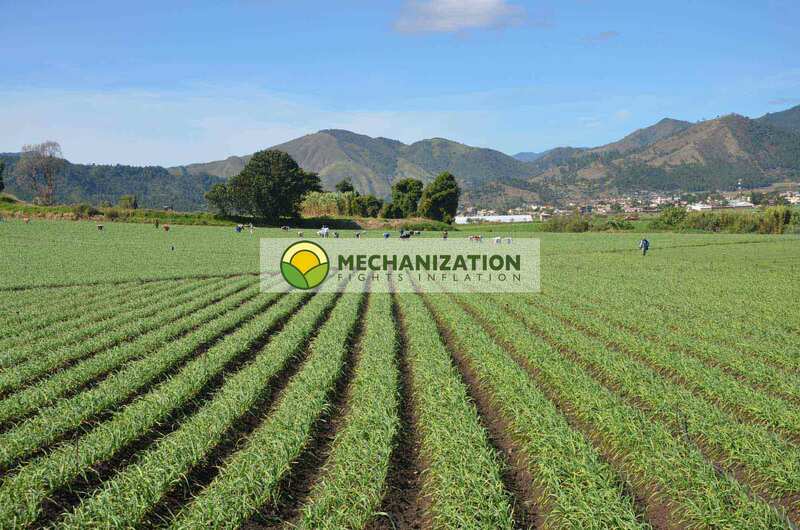 The storage process consists of keeping the onions and potatoes under controlled conditions with relation to temperature, humidity, ventilation, CO2 levels (in some cases) and the application of potato sprout inhibitor. Not all types of onion and potato are suitable for storage. To protect the onions and potatoes for long enough to be able to sell them at a better price, without sacrificing quality. DON'T STORE THE PRODUCE. Sell it! Storing onions and potatoes is a tricky matter, and requires large investments. Nowadays, the facilities for storing onions and potatoes are so sophisticated and computerised that they can create the perfect and environment for the onions and potatoes at a consistent level in terms of temperature, humidity, ventilation and CO2 level. However, not all onions and potatoes are suitable for storage. Not all onions and potatoes are suitable for storage (especially onions). There are roughly 1,300 varieties of onion, and almost the same amount of potato varieties. Only certain varieties are suitable for storage. Before deciding to store your produce, we advise you to get in touch with your seed provider to determine if your current variety is suitable for storage. You can also ask your seed provider to recommend the best variety for your area. Physical damage during harvest and transport to the storage facility. Damage to the bulb or tuber are like wounds that quickly become infected. A prematurely harvested onion will sprout during storage. If you do not apply sprout inhibitor to potatoes, they will sprout during storage. Please note that some onions can only be stored for a certain amount of time. Some onions can be stored for up to 2 or 3 months, and others for longer. In other words: Only produce which has seen GOOD FARMING PRACTICES are suitable for storage. If quality produce goes in, quality produce comes out. If bad quality goes in, it will come out even worse. Storage facilities should be seen as a nice hotel for the produce, and not a hospital. We have to spoil the produce during its stay with us. In other words: Only produce resulting from GOOD FARMING PRACTICES is suitable for storage.